Another stylish product found online: trendy pink jacket by LOFT. With a slight puff at the shoulders for girly glam – plus an irresistibly fresh pop of colour – this crisp canvas style channels fierce sweetness. You can wear it with dark skinny jeans or with your favourite skirt. It is a perfect colour for spring to freshen up your look! Notched lapel. Long sleeves. 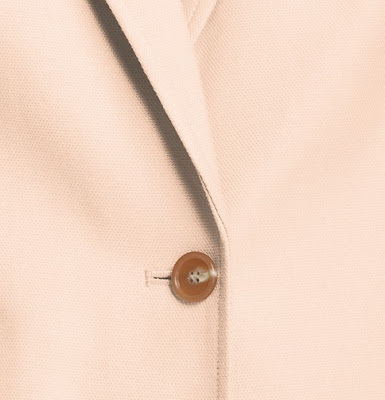 Single button front. Flap pockets. Two button cuffs. Back vent. Lined. 23 1/4"" long. For more PINK inspirations, visit our Pinterest page.